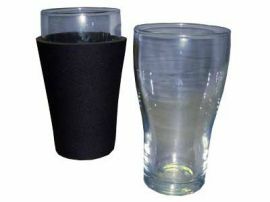 There's nothing worse than drinking warm beer ... so keep that liquid cool with Schooner Coolers! To assemble your Schooner Standard Cooler, don't forget to also purchase bases. The above items are available from Linkron Australia. Call us on (03)9763-1111 to find out more. Please see Neoprene colour chart. # White Linkfast™ DPL has been specifically designed for dye-sublimation printing with brighter colour reproduction.